Juli 2017 - Digitale Transformation - jetzt die Chancen aktiv nutzen! Over the last year, we’ve watched companies develop strategies and build capabilities within the Internet of Things (IoT) arena. 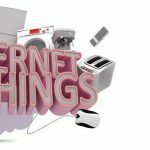 While some of these companies already have a solid existing market positioning in IoT, others are in the early stages and are focused on moving quickly.